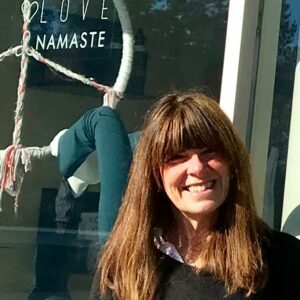 Sharon has been teaching heart centred yoga in Bristol and Stroud for over thirty years. In 2008 she qualified as a hypnotherapist which has the same mindful compassionate approach and intention, to inspire personal growth. Sharon has offered general yoga classes over many years as well as prison yoga teaching, and NHS anxiety management groups. Sharon has a good understanding and experience of physical and mental challenges. At the heart of this practice is the attention on the soft breath that flows on through movement and stillness. Gentle yoga calms an agitated mind and dissolves tension in the body. You will enjoy greater ease of movement and flexibility. You will gain balance and control. You will experience the creativity and peace that arises from deep relaxation. If you feel vulnerable or unsure about your ability to benefit from yoga then these classes are for you! Gentle yoga is not suitable for the disabled who are unable to move without assistance.